Inboard VS. Outboard Motor: Do You Know the Right One for Your Boat? I do not really believe that inboard is better than outboard motors or vice versa. Each one offers an advantage and disadvantage for a boat owner. Therefore, when you are comparing inboard VS. outboard motors, it would be easy to choose if you know your need. It all depends on what you like, the kind of boat you own and the activities you plan to do. These three (3) factors are a big help to determine what to pick. Whenever I decide on buying something, I note down the reasons why I need to purchase it. Do you have your list too? Inboard and outboard motors are typically for boats. It is easy to remember them since outboards are attached outside the hull while the inboards are fixed inside. Boat investment is not a joke. The engine is the most vital and of course, costly feature of all. Let me point out some facts about inboard vs. outboard motors to help you select which one suits your needs best. Outboard motors are famous for being the favorite for boat lovers who like to fish as a pastime, families who frequent the beach and those sports fanatics who dare the waters. Their boats are usually small private boats, rafts, and inflatables typical for a private getaway. If you belong to this group, then for the inboard vs outboard motor comparison, you might find outboard motors interesting. 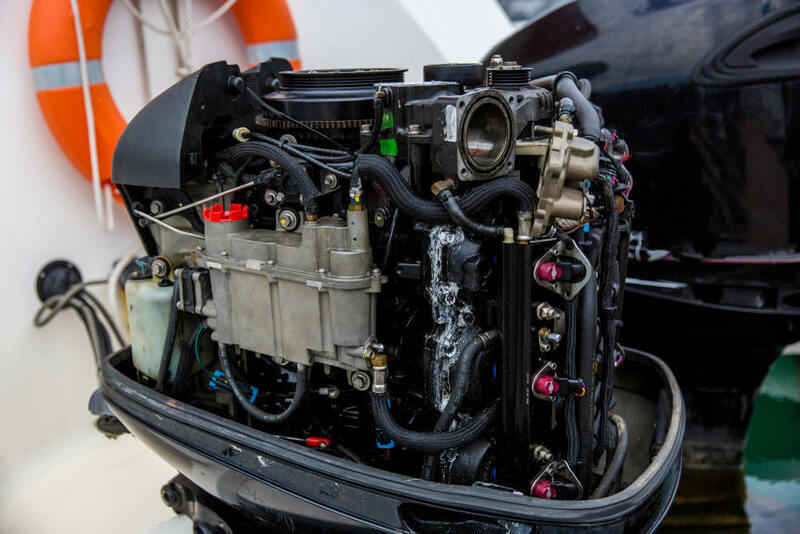 Since outboard motors’ place is at the rear of the boat, you should give importance to your boat’s size when choosing the engine. The bigger the engine, the heavier it is. A heavy outboard motor will make a small boat tilt, thus making it unstable. Being simple, outboard motors do not need a separate rudder because you can turn the engine directly to change directions. However, if you are the pilot, then your spot is always at the rear, near the engine for strict supervision. 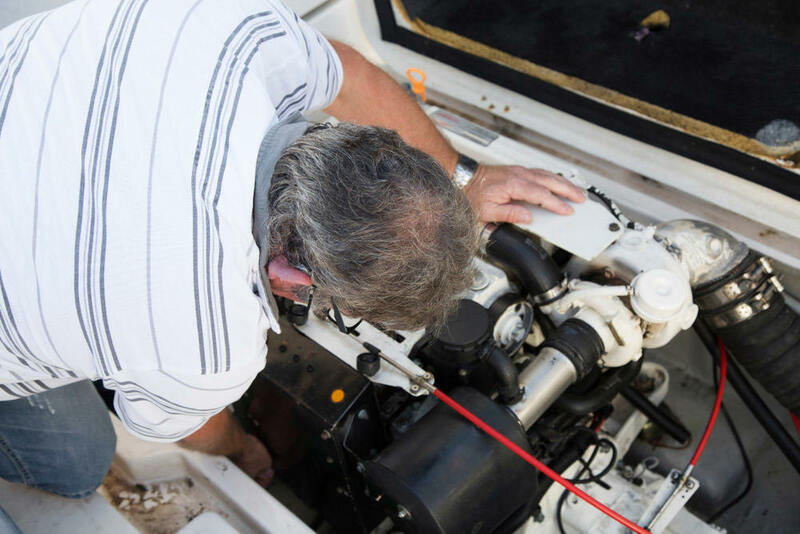 It is a significant advantage in having an outboard motor when it comes to maintenance. It is easy to clean and repair an outboard motor because it is just located outside the boat. You can access it quickly and have enough space to do the job. Outboard motors are very convenient. You can remove it and bring it to repair shops. Outboard motors are useful than inboards when you are steering shallow tidal waters. You can adjust the angle and position of the engine to equal the depth and to make the propeller entirely above the seas. This feature is an advantage when you are about to anchor in rough waters. Long Life- you know that outdoor motors are mostly sheltered from the waters and are easy when it comes to cleaning. Therefore, this type of motors has the chance to last long. As expected, outboard motors are noisy compared to inboards. Inboard motors are suitable for big fishing boats, luxury boats, and cruisers. The type of vessels that stays in the ocean for long and Anchorage is far from the shallows. If you like big powerful boats, then for inboard VS outboard motor, you might favor inboard. Inboard motors are usually at the center part of the boat. Although they are heavy, the weight distribution is balanced. Since this engine is famous for big crafts, this type is larger and more powerful compared to outboards. It provides a lower center of gravity and makes the boat stable. It is more unlikely to sink. If you notice, when you ride a boat, the inboard motors are inside a large box. Because of this, it occupies more space on the boat. However, when the craft is big enough, there is an engine room for the inboard motors. Nevertheless, unlike outboards, inboards are slow to turn and do not blow up considerably. It does not change direction unless you have a separate rudder to steer the boat. The rudder may sound bothersome, but then it gives you the luxury to enjoy sitting in front. Since it is large and heavyweight, engines for repair is harder to load unto the trailer. Sometimes, it is easier to scrap instead of restoration. As I have said, owners of large boats prefer inboards because it has more horsepower, torque, and massive power size engines available on the market. Besides, these powerful motors are quiet vs. outboards. If you love entertainment during the cruise, inboard motors are suitable. Inbound motors are way expensive than outboard motors. It is also prone to water damage and frequently harmed by sharp rocks. Repair is an additional add-on to expenses. However, it is economical and efficient when it comes to fuel usage. So, which one do you think is for your boat? Have you considered the factors? Well, if your plan is to go out with family and friends, then definitely you need a bigger boat with enough space to walk around. A bigger boat needs a powerful inboard engine. Nonetheless, if you are the type who loves privacy and goes with a small group, an outboard motor is already satisfaction. Whatever is your preference, I am sure you already know if it is the right choice or not. Personally, when it comes to inboard vs outboard motors, my pick is the outboard. I like the outboard because it is portable and easy to bring, it is utterly safe to fish in the shallow waters, and most importantly, it is not costly. There are three (3) reasons why I say it is cheap. It costs lower than inboard motors. Does not need a lot of maintenance. Easy to clean and repair. Therefore, outboard motors are less stressful, and as long as I take good care of it correctly, it would last longer. I am still a newbie in fishing, so outboard motors are perfect for me. Have I helped you today? I bet you have already decided!